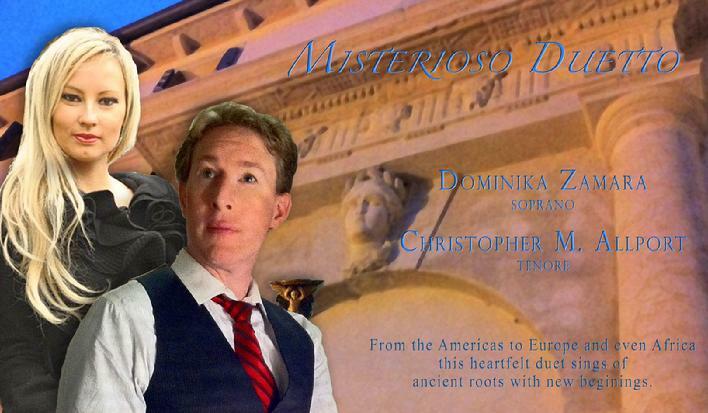 Allport Productions, a division of Allport Enterprises, Inc.
Well known, American tenor Christoher M. Allport and European soprano sensation Dominika Zamara have teamed up, in the phenomenal Misterisoso Duetto. This phenomenal vocal duo, has performed together throughout Europe, and is now in the process of planning an American concert tour. Check back for more news and information. We will let you know as more concert dates are added. She was born on 11 August 1981 in Wroclaw (Poland): She began the musical education starting to play piano being 7 years old under the care of Professor Elzbieta Maciukiewicz. Singing in her the greatest love. The adventure with it started when as a child she performed solo parts during some church celebrations. She recorded a lot of different arias for the Polish Radio. She started the professional learning of the singing at the Ryszard Bukowki�s Secondary Music School in the class of professor Hanna Celejewska receiving the distinction degree. This time she partecipated in many concerts, festival and musical courses receiving numerous awards and distinctions for the wonderful voice and remakable interpretation of vocal works. She has cooperated with numerous operatic singers from all the World prestigious theatres and concert halls such as: Polish Theatre in Wroclaw, Marianum Oratorio, Aula Lepoldinum, Chopin�Manor in Duszniki, National Museum in Wroclaw. She takes part in many musical, being the synthesis all sorts of art e.g. rock opera, theatre, painting or dance. She often cooperate with an outstanding polish painter � Witold Liszkowski. She cooperated with Polish Television in the program Brilliant of the Year (Lower Silesian Brialliant of the Year). In 2004 she had the main role in the Sweeney Agonastis performance in the �Jerzy Grotowski Theatre� in Wroclaw. In the academic year 2006/2007, the Italian Governmente awarded her a scholarship, as part of which she studied for one year in Conservatorio di Musica in Verona, moreover she took an active part in the artistic life of this city. In 2007 she became a Master of Arts and received the distinction degree under direction of Prof. Barbara Ewa Werner at the Wroclaw Music Academy. She partecipated in masterly courses with the most outstanding Italian singers, improving her vocal technique. At present she has lived as well as has given concerts in Italy. She cooperated with numerous Artistic Agencies giving a concert in the allEurope. In 2008 she had tournee in France during the Festival of the Sacred Music along with the outstanding virtuoso performer organist Fabrice Pitroise. In 2008 she sang at the National Theatre in Montenegro in the presence of the President of this Country. In 2009 she acted in Germany, Poland, Italy, Great Britain and Switzerland. In 2010 she�ll sing in Italy (Rome, Venice...), Vienna during Oscars of the Polish community abroad, in Poland, in France, in Las Palmas and in Los Angeles. She performs arias in Italian, Polish, English, French, Latin, Russian and Czech languages. In her repertoire she has operas, sacred music, operettas, songs and chamber music. opened up Christopher's horizons to France, Italy and the rest of Europe where the CD was received with critical acclaim. Since then, Christopher has received several invitations to tour and record in Europe with important vocalists such as Simone Bertolaso (tenor), Michela Carboni (soprano) and international vocal sensation, Dominika Zamara (soprano). Received with acclaim in Europe, Christopher and Dominka have recently joined forces to create the Misterioso Duetto, which will finish a European tour and then come to America. Performing both sacred and secular music, this pair is building bridges across the Altantic, with classical, pop, modern and original repertoire. Christopher is also finishing a sacred album with Simone Bertolaso. 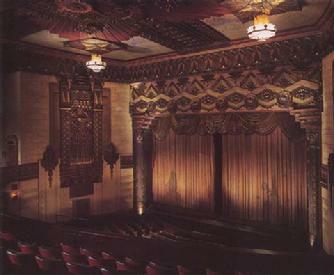 This winter, Christopher is also joining the American Youth Symphony at UCLA's Royce Hall to sing the American Premier of Lament and Prayer by Charles Fox. This modern piece is based on the words of Pope John Paul II. 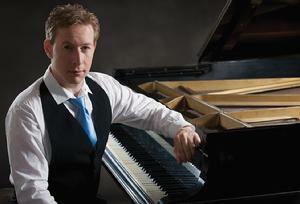 Christopher�s performances have been well received on three continents: America, Africa and Europe.